Choosing a school for your child is no easy task. Determining what your hopes are for your child can make the task easier. YCS embraces thinking outside the box when it comes to families making decisions about the education of their children and is equipped to help. 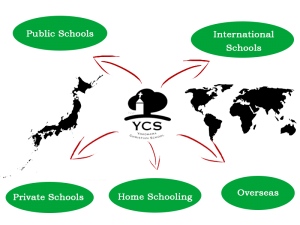 What to expect at Yokohama Christian School? Yokohama Christian School is a Classical Christian preschool and elementary school. Classical schools concentrate on strong reading, writing, and logic skills. At YCS, your child will be exposed to great, age-appropriate literature from a young age. Our multi-age classrooms will allow your child to interact with a diverse range of class members with the ability to learn from those that are older and mentoring those that are younger. The Core Values of a school determine its foundation, goals, and school culture. At Yokohama Christian School, we believe our core values impact our parents, teachers and staff, and students.